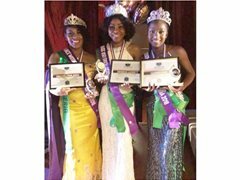 Modeling Jobs>Competitions & Pageants>Miss Africa Diaspora USA Houston TX. Have you got what its takes? Miss Africa Diaspora USA Houston TX. Have you got what its takes? Are you an African living or born in the USA?Do you got what its takes to be an Ambassador for a charity that support Homeless,Disable or people in need?if say apply now to become The Miss Africa Diaspora 2018/2019. Miss Democratic Republic of Congo.